As a retired FBI agent, Vestavia Hills Mayor Ashley Curry has seen the fate of drug dealers who enter the criminal justice system. As general manager of a funeral home, Homewood Mayor Scott McBrayer has seen the ultimate consequences of drug use. As a former fire marshal, Hoover Mayor Frank Brocato has seen emergency paramedics respond to an opioid overdose, and as a financial advisor, Mountain Brook Mayor Stewart Welch has seen the financial devastation drug use creates on a user’s family. All four Over the Mountain mayors say the opioid crisis is important enough to gain their attention. “The opioid crisis is one of if not the single biggest issue facing the country, not just our communities,” Welch said. The four mayors are hosting an “Addiction Coalition Community Breakfast on June 12 at Canterbury United Methodist Church, 350 Overbrook Road, Mountain Brook. The breakfast, which starts at 7:30 a.m., is free and open to the public. That was by design so those needing help with drug addiction or who have family or friends with drug addictions can attend without the burden of having to pay, the mayors said. Guest speakers include Richard Simmons III, founder of The Center for Executive Leadership, a non-profit, faith-based ministry in Mountain Brook, and Jay Lloyd, founder of the Center’s RealLife Ministries. The mayors have also partnered with faith-based and secular outreach groups that help drug addicts on the road to recovery. Those groups are Addiction Prevention Coalition and Alabama Teen Challenge. After the breakfast, the event will include a session about drugs and drug addiction, particularly as it relates to the opioid crisis. An important part of the event, Welsh said, will be unveiling a “single protocol” – possibly a phone number – to which city officials and others can refer a person seeking help with drug addiction. “We wanted to come up with a single protocol so that if you raised your hand and said either I had a problem or somebody I care about has a problem, there would be one place you could go and get help,” Welch said. The source would have enough knowledge about drug addiction and recovery efforts to point a person in the right direction, Welch said. The Mountain Brook mayor said they’re still “fleshing out” the concept, but the protocol should be ready to reveal by the breakfast event. The misuse of opioids in America has become a major crisis over the past 20 years as the availability and over-prescription of pain relievers has made this type drug more accessible. Opioid users didn’t have to venture into dark corners or seek out street peddlers, at least not initially. They simply had to receive a prescription for pain relief or visit their home medicine cabinets to acquire them. Now, a black market has arisen as the desire for opioids, which includes heroin, has increased and has spawned a powerful and deadly synthetic opioid, fentanyl. According to IMS Health, a market research firm, the prescription of opioids rose from 112 million in 1992 to 282 million in 2012, although those numbers had declined to 236 million in 2016. “This issue has become a public health crisis with devastating consequences,” the National Institute on Drug Abuse states. 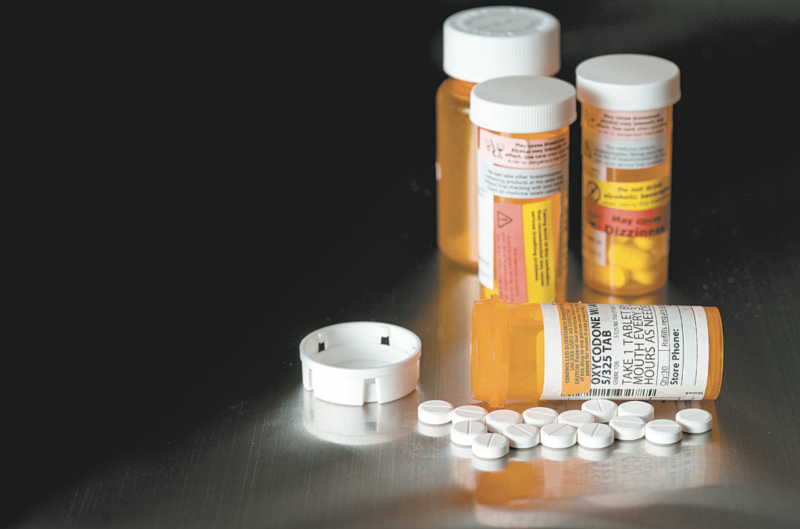 According to the NIDA, more than 115 people die daily after overdosing on opioids. Molloy said his organization sponsors an “End Heroin in Birmingham” Walk at Railroad Park every year. The walk has drawn more than 4,000 people in over two years, signifying the problem within the community. Ashley said the idea to address the opioid crisis came from a meeting of the four mayors. After the last election, Welch, Ashley, Brocato and McBrayer began talking and decided to meet quarterly to address topics that affect their cities. The concern about opioids was a natural topic because it has touched all of those cities as well as the state, Ashley said. “I’m a retired FBI agent for 25 years and I spent a good number of those years working drug cases,” he said, “and I saw the effects of drugs” on society. Ashley said he further researched stats on opioid use in Alabama and realized it was an important subject to tackle for the mayors’ first community breakfast. “It’s an issue that is real, and it’s real in Vestavia,” Ashley said. Both Welch and Ashley said they are aware that there are programs in their communities and schools that are addressing the issue of drug use. Providing a component to give people help is vital to the success of the mayors’ approach, Ashley said. “This is to help the addicted person who wants to help himself,” Ashley said.